The new version of SCCM is out ! You may know this version as SCCM Vnext, SCCM 2016 or SCCM 1511. The product group explained on their blog that the new version will be simply called SCCM Current Branch. This blog post is a complete Step-by-step SCCM Installation Guide. SCCM installation has never been an easy process and the product itself can be complex for inexperienced administrators. With these blog posts, our goal is to bring it a bit further, explaining concepts and best practice rather than just guide the user through the installation process. If you’re not familiar with SCCM 1511 Features, you can visit this Technet article which covers it all. I hope this guide brings all the information you need and that you’ll appreciate administering it. Please take a doubt, the System Center that I have here implanted is SCCM 2012 r2 with windows 2012 r2, my client stations are all with windows 7 still, on account of an application that does not still run on windows 10. My doubt is, I can migrate SCCM 2012 R2, to the most current version, does it work with windows 7 normally or would it be better to upgrade now only to v1511 and after that have client stations on windows 10 that I can migrate to the most current? Is this guide applicable to 1702 as a new Site installation? sir i have questions regards of SCCM server 2012 R2, in our environment we have a primary Site server and and many remote branches and we want to distribute WSUS update through SCCM to all client in our remote branches and i would like to know the installation steps and guides. Do I need to install SQL server if I am about to install SCCM role like MP on a remote server? I am not planning to have MP DB replication enabled on that server. SQL is needed on the Primary site. If you already have a PS and adding a MP, you don,t need to install SQL on the MP box. I would also like to ask. 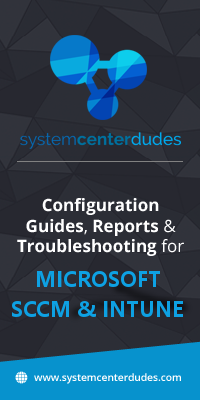 Can I use this same guide for installing SCCM 1606. 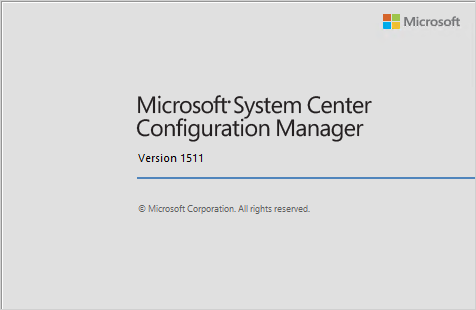 Sure there’s no difference between an SCCM 1511 and 1606 installation. This guide will work. Guys – I love the information this site provides, I regularly use this as a primary source of great information. However, after purchasing the guide here, I open the PDF and it states damaged or changed. Please assist..
We sent you the file via email. We also fixed the issue on our download portal. Thanks for your comment. Thanks for this guide! Question: Since 1606 is out as a standalone, can I just substitute this guide and use 1606 instead of 1511? trouble of day-to-day pet treatment. I also have not received the PDF that I purchased on 10/24/2016. I have sent two recent emails regarding this but have not received a response. My email address is garricksr@comcast.net. We sent you the document via email. Sorry about the delay. similar issues to downloading. 0 bytes no matter where I try to download it from. Paid for the complete bundle. is there any difference in between the PDF Guide i can purchase and the blog series? content of this guide is same as here written in this blog? Thanks for you interest in our products. It’s mostly the same but some content has been updated to reflect new version of SCCM and SQL. many thanks for the quick response. Could you just let me know, which Content has been updated, the PDF document or the blog? need on a number of Prescott properties in your location of interest. put your cash in any kind of financial investment. to help you obtain covered. I purchased this guide and I have not received yet. Please help. We currently have an issue sending email to @hotmail.com accounts. Do you have an alternate address ? Write us info@systemcenterdudes.com and we’ll send you the pdf directly. I upgraded from 2012 R2 Sp1 to SCCM 1511 to 1602 without issue. However I can’t get the Win PE peer cache to work yet. I turn it on with the new client setting advertised to the collection, the wim downloaded to the machine task via a download task and the SMSTSPeerDownload=TRUE set. The CAS.log on the machine hosting the wim shows the second client calling to it checking for the wim and reports back success. The client computer shows success in its SMSTS.log and adds the Peer Content Server but after all that does a Prioritized Locations and still picks the distribution point. Is there a setting I need to modify so that it picks the Peer Content Server rather than the Multicast Server? I’ve purchased the SCCM installation guide, primarily complete a fresh installation of SCCM on Server 2012 R2 and SQL Server 2014 so we can migrate our current setup from Server 2008 R2 and SQL 2008. The guide is really good and fairly easy to follow. However, please can I make a suggestion? You mention in the pre-requisites that WSUS is needed as a feature, but you don’t actually cover WSUS installation until after installing SCCM. If you install WSUS early in the guide there won’t be an option to use SQL for the database. Please could I suggest that you add a section on installing WSUS after the SQL installation, but before the SCCM installation? I left the WSUS installation, thinking I could install it later, but then got a warning when I tried to install SCCM. I purchased this e-book and I’m finding it helpful so far. Thank you!!! One quick question, in section 5.4 – SCCM Accounts. Are these Domain accounts or Local accounts on the primary site server? Thank you for these excellent resources, and sorry for the long read. I need a bit of guidance to ensure I take the best approach to upgrading. There are 2 things that I need to accomplish: Move SCCM to a new VM (the current hardware is about to go out of warranty), and upgrade from 2012 SP1 to 1511. I was hoping that I would be able to build the 1511 installation side-by-side to the 2012, manually migrate only the items that are needed, and end up with a “clean” installation. I’m relatively inexperienced with SCCM (as is our organization) so I thought taking that approach would result in valuable learning, and a more efficient SCCM instance without the wasted resources due to old junk. It’s of note that while my org wants OSD support for Win10, they’re reluctant to “cutover” to a new product. At this point, our application deployments are few, our OSD is non-existent, and our reporting needs are minimal. I hope to change all of that for the better. Our current instance has ~3k devices reporting. I’ve got a clean Server 2012 R2 VM with 4 CPU cores, 16GB RAM, and 500GB of HDD space to migrate to. From my understanding, upgrading side-by-side is not recommended between these two versions. Given our scenario, what path would you recommend to get from the old hardware onto the new, and from 2012 SP1 to 1511? We did a new blog post that covers this scenario. I hope it answer your questions. Just wondering which ADK 10 should be installed with sccm 1511. Is the newest ADK 10 1511 ready or still stick to the first ADK 10 release?. The issue is caused between the ADK and Windows, not SCCM related. The post will be updated when Microsoft release further information.